CentralCloseout.com is a family owned business that specializes in supplying wholesale closeouts, shelf pulled & overstock cosmetics worldwide. We work with resellers, both national and international and provide them with quality cosmetics at the best prices available online. We have been in business since 2010 and have forged strong relationships with some of the nation's largest cosmetics distributors, which allow us to offer you the lowest priced and best mix of items available anywhere. What type of cosmetics do you sell? Are they brand new, shelf pulls or customer returns? Change of season. Different yearly seasons carry different items and shades of color. Spring colors can not be sold in the Summer, for example. So all of those pastel colors and shades have to be removed from store shelves and replaced with the next season's colors.Product packaging has changed or a formula has been modified on a particular product. Shelf pullers items are NOT CUSTOMER RETURNS, these items have never been purchased. Please note that shelf pulled cosmetics can include price and discount stickers, and their packaging can be in less than perfect condition due to warehousing and handling. Shelf pulled items have a possibility of being expired, as 98% of all cosmetics do not have a printed expiration date on the packaging it makes it very difficult for us to determine if they are expired. We purchase shelf pulled cosmetics by the truckload and these items are all thrown in boxes and are mixed with other items. Once we receive them we separate them and throw out the damaged items then remix them to create our mixed boxes. Liquidations: Liquidations are generally products that never made it to store shelves. These items were purchased by large retailers and left in their warehouses. This usually happens because they purchase too many pieces and are unable to sell them before the season ends. Our liquidated cosmetics usually come in their factory cases or "master cases" and do not have any retail stickers whatsoever and their packaging is in 100% pristine condition unless otherwise stated. Liquidations are also very limited sometimes, we may only have access to a few thousand pieces of a particular item and once it is sold out we can never get it again. Factory Direct: Factory direct cosmetics are items that are purchased directly from the manufacturer. Unlike shelf pulls or liquidations factory direct items are 100% factory fresh and are never expired. These items can also be reordered over and over again once we are out of stock. These items will also arrive in their master cases and will never have a price or discount stickers. We are exclusive distributors for LA Girl, LA Color and City Color in South Florida. 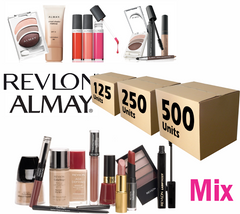 We also distribute; Kleancolor, Nabi, Beauty Creations, Nabi, Jordana & Milani cosmetics. Some of our shelf-pulled or liquidated items may be expired. Since 98% of all cosmetics do not come with an expiration date printed on them it makes it very difficult to determine the expiration date. Most products come with a lot number printed on them which have no correlation to the actual date. This number makes it very difficult to cross reference the actual expiration date. Throughout the years some websites have popped up claiming to be able to check expiration dates, but none of these sites are backed by the actual manufacturers of these brands. So the information found on them may not be reliable. You will not even be able to find this information if you were to go to Maybelline or L'Oreal's websites. Expiration dates can usually be found on items that contain SPF, like foundations or powders. These items that contain SPF will have the actual date with month printed on the packaging. Once the expiration date passes the SPF runs out and will no longer protect against the sun. What these symbols mean is that the product is good for the number of months shown in the picture above after they have been opened. Our factory Direct Items are not expired and are what is called continuous stock and factory fresh. 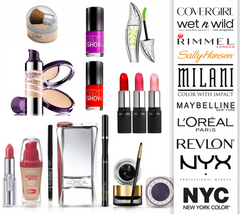 This includes brands such as LA Girl, LA Color, City Color, Kleancolor, Nabi, etc.. Unlike other suppliers, we like to be very upfront with our customers when it comes to our products condition. Contact one of our sales representatives and they will be more than happy to help you with any questions regarding expiration dates. Credit Card & PayPal transactions have a much higher risk of fraud. Due to these risks, we have strict limitations on all of these transactions. We apologize for any inconvenience this may cause you. Credit cards & PayPal accounts: We limit our Credit Card and PayPal transactions to $500. If your purchase exceeds this amount a Bank Wire or Bank Deposit will be required. All orders paid with a Credit Card or PayPal can only be shipped to the billing address listed on the Credit Card or to the VERIFIED PayPal mailing address. We will not ship any order paid with a credit card or with PayPal to any freight forwarders. CentralCloseout.com reserves the right to deny any payment with credit card or PayPal on any transaction. 1. I agree to use this Credit/Debit Card with the same caution as with CASH. I agree to resolve any and all disputes directly with AR. Central Closeout Corp. with no guarantees of mutual resolutions. 2. In execution of this purchase transaction, I agree to waive all rights according to card holders’ agreements with my issuing bank and agree to waive all rights to file disputes with my credit card company and waive any claims resulting in a chargeback of funds from my issuing credit card company and AR. Central Closeout Corp.
Any order exceeding $500 dollars will require a payment made via Bank Wire, Transfer or Deposit. Once your order has been submitted and a sales order is generated a representative will provide you with our banking information. Once the payment is made you will have to forward proof of the Wire, Transfer or Deposit to your sales representative. The customer is required to cover any and all Wire or Transfer fees that your local bank may have. If the amount received in our account is less than the invoiced amount an adjustment will be made to your order. When you make an international wire transfer you can choose who pays the transfer charges. BEN, SHA, OUR are codes used to determine who will pay the fees. The OUR instruction means you pay all transfer charges. We receive all your payment. BEN (beneficiary) means you do not pay any charge. We receive your payment minus all transfer charges. We require all transfers to us to be made with the OUR instruction. ALL CANCELLED ORDERS ARE SUBJECT TO A 20% (OF INVOICED AMOUNT) CANCELLATION FEE. You can place an order directly through our site. Just select the product(s) you are interested in purchasing and add it to your shopping cart, and check out. During check out a shipping quote is provided for most countries.You can also email us directly at Sales@CentralCloseout.com with the exact product(s) you want and your personal information, including a shipping address. In person at our warehouse. Please feel free to contact us if you have any problems while making your purchase. How Can We Reach Someone At CentralCloseout.com? We are also available Monday-Friday from 9am to 5pm EST via our live chat located right on our website. Who handles the shipping & freight?